Before you purchase a classic campervan it may be in your interests to do a little bit of homework before parting with your hard-earned cash. 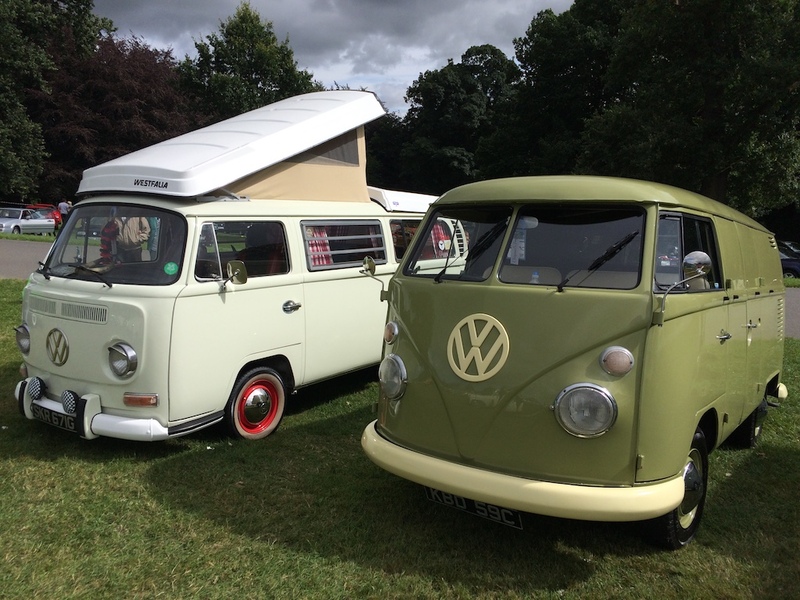 Classic camper vans and vintage vehicles can be costly to restore and maintain. You need to have an idea how much you want to spend and generally stick to that budget, keeping in mind all the repairs and restoration that the vehicle may need. Sometimes a fixer-upper may be more costly than a vehicle that has already been repaired. A good place to start your research would be at a Volkswagen show. You can browse around all day looking at pristine vehicles and also vehicles that need work, then you will have a better idea of what you can get for your money. The Volkswagen scene is quite friendly and the owners of the buses are happy to chat to you about their pride and joy, sharing with you advice and tips. Usually if the engine does not leak, smoke or knock you’re generally good. If you turn up to look at the vehicle and the engine has been warmed up, but you see oil leaks where the vehicle has been parked, and empty oil cans, this is not a good sign. In general an engine should start easy from cold. If you are in doubt take with you a reputable mechanic. Look down the sides of the van, the panels should have straight lines; no ripples or dints. Check around the wheel arches they should be clean and show no evidence of body filler. Check the edges and lines of the doors, they should shut correctly and a similar-sized gap should be seen all the way around the door. The bottom edge of the door should show no evidence or little signs of rust. Check the body work for body filler by taking a magnet with you, simply place the magnet to the body work. If there has been body filler used on the vehicle the magnet will not stick. The bus may have been repainted so check for over spray on the window seals and inside the door trim. If you see over spray it is sloppy workmanship. When a van has had a quality repaint job it’s quite hard to tell, the van should have been stripped to a shell and then repainted, preferably in the factory colours. Often in old campervans, the interior can be damaged and worn. Laminates may have lifted with the heat of the sun, doors may have fallen off due to the hinges no longer holding, so with that in mind when looking for a campervan you have to know what to do for the best. If you have the skills to repair your interior, there are a number of companies that sell components and laminates similar to the originals. To fit new laminate it can be a tricky process and will often require you to remove the interior completely from the bus, this can be quite difficult and time consuming, but with that in mind some interiors are well worth saving. The Westfalia for one, built with a hard-wearing laminate, and with robust construction methods, makes this interior that was built in the 1970’s, well worth saving. Finding the right campervan that is rust free and in original paint with a good interior is quite rare, fifteen years ago when we became involved in the Volkswagen scene, buses that were rust free were imported from the dry states of America, often in very good condition with a slight bit of surface rust. Unfortunately it has become more and more difficult to score these vehicles lately. So if you have your heart set on a classic campervan then body work is probably the single most important factor in your purchase. If you are lucky enough to find an originally painted bus then this camper will not only hold its value but increase in value compared to a vehicle that has had extensive body work. Secondly what you see is what you get if you do not spot rust and the paint has been applied a number of years previously, you can be assured that this vehicle will not cost you thousands in body work. The engine and electrical parts are pretty straight forward and unlike modern vehicles that require specialist mechanical garages for the engine to be diagnosed, this is not the case with old campervans. The VW parts are quite cheap and easily accessible. Interior, in old vehicles, probably will be worn, unless it has been refurbished. If not, you may want to replace this, but it will not cost you ten of thousands and it’s always nice to add your own design and ideas to your bus .